Joe Bongiorno’s Royal Publisher of Oz releases its latest book today: the short-story anthology Lost Tales of Oz, featuring illustrations by the multiple-Eisner winning artist Eric Shanower. This volume contains eighteen stories—over 500 pages of new fiction in all—inspired by and adhering to the Oz book series. 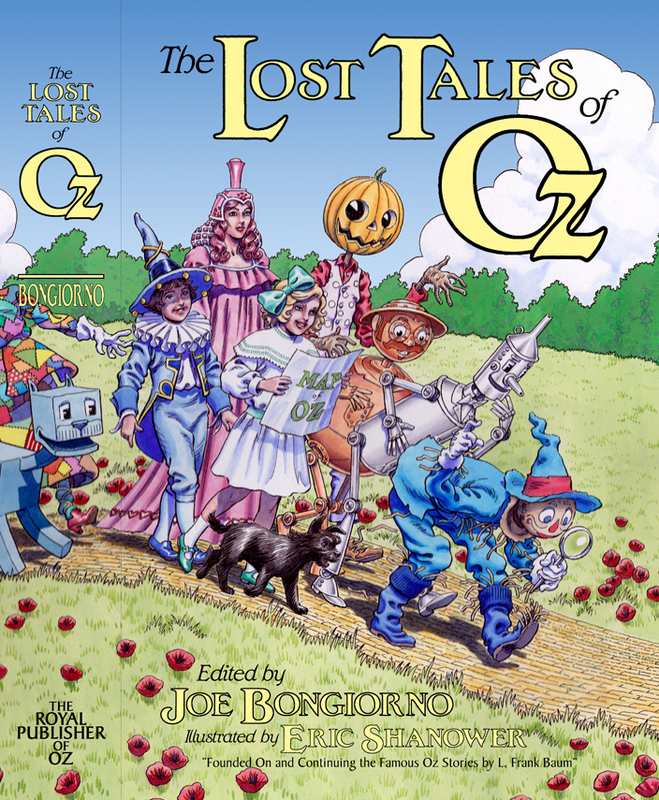 One of those stories is a little piece by me called “Ojo and the Woozy.” For folks who haven’t read The Patchwork Girl of Oz, in the jacket art above Ojo is the boy dressed in Munchkin blue and frills near the left side, and the Woozy is the cubist blue creature at the far left. In the same year that he released The Patchwork Girl of Oz, L. Frank Baum wrote six short books collectively titled Little Wizard Stories of Oz. Each was about two established characters, such as Dorothy and Toto, or Jack Pumpkinhead and the Sawhorse, having a brief adventure together. 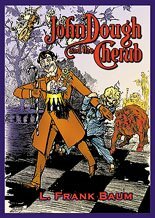 Several years back, I set out to create a new story along those lines, using some pair of characters Baum didn’t get to. Ojo and the Woozy felt like a natural choice. In Baum’s seventh Oz book they travel together to the Emerald City. The Woozy is almost always calm, cheerful, and straightforward while Ojo is a moody fellow, so their personalities can play off each other. My “Little Wizard” story ended up never leaving the vicinity of the Emerald City. The drama of Ojo and the Woozy’s adjustment to life there after having spent years in isolated forests was too interesting. As a result, this tale offers its heroes no greater challenge than being a shy new boy who doesn’t know how to play the local sports. Which is, of course, a great challenge indeed. I may have given Ojo some of my own childhood experiences. Lost Tales of Oz is available in hardcover and paperback via Lulu.